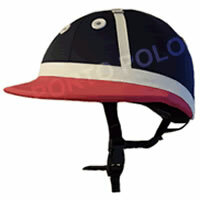 HELD IN STOCK - The Charles Owen Young Rider low profile polo helmet has a padded poly cotton cover. An adjustable soft nylon harness that crosses at the back for extra stability. It comes with an SOS card for all your essential medical information. 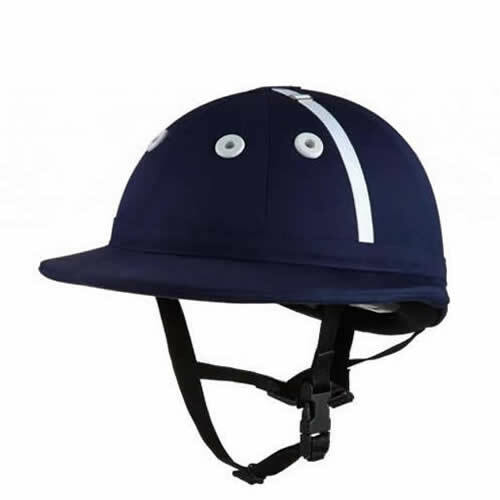 This helmet has an adjustable soft nylon four point harness. 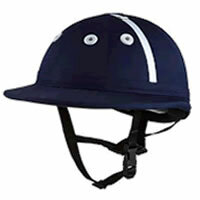 Accepted for Pony Club, SUPA and Junior HPA. It is made to PAS015 specifications with the BSI kitemark.